Oregon Democrat agrees president is right to go after unfair practices by China, but says tariffs imposed the wrong way hurt other leading trade partners of Oregon. 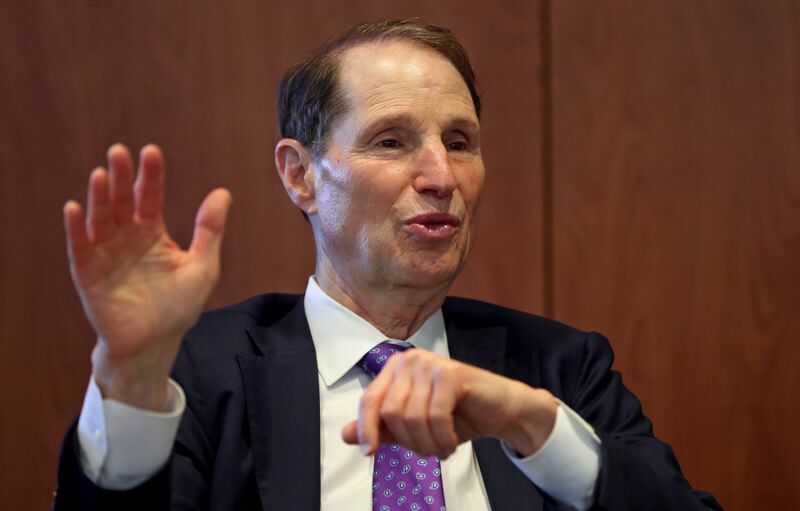 U.S. Sen. Ron Wyden says President Donald Trump is right to go after China — Oregon's largest export market — for unfair trade practices. But Wyden also says Trump is going about it the wrong way, and the consequences hurt other top Oregon trading partners such as Canada, Japan and South Korea. 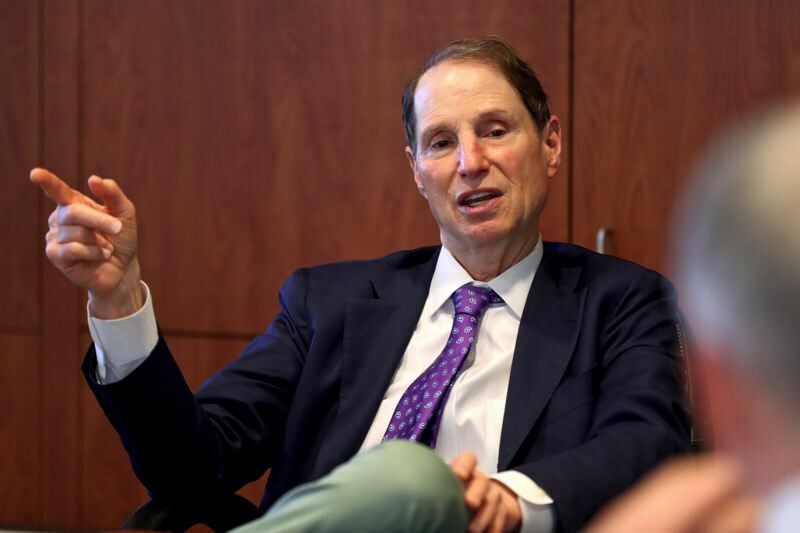 "What Trump has managed to do with our allies has come to hurt us and Oregon," Wyden said Friday at a meeting with Pamplin Media Group editors and reporters. "We need the allies with us on a whole host of issues." Wyden said the dispute matters because one in five Oregon jobs depends on trade — and trade-related jobs generally pay more. He's also the top Democrat on the Senate Finance Committee, which has authority over trade legislation. He spoke on the very day the United States levied $34 billion in tariffs on Chinese products and China retaliated with its own tariffs on U.S. goods. Earlier this year, Trump imposed tariffs of 25 percent on steel imports and 10 percent on aluminum imports. His decision was aimed at China, but his refusal to allow exemptions triggered retaliatory tariffs — or threats — from U.S. allies. "Tariffs should be part of the trade enforcement toolbox," Wyden said. "But you need to use them in the right way at the right time so that you enforce the laws on the books and you open up markets for Oregon products. "The only thing consistent about the Trump trade policy is that you get a daily dose of chaos." China requires U.S. companies to take on Chinese partners if they want to do business in the world's most populous nation — and it opens the way for the Chinese to obtain U.S. technological secrets. Among the companies was ZTE Corp., a telecommunications firm that is one of China's leading manufacturers of smartphones and tablets. The U.S. government slapped a seven-year ban on ZTE — and a 2012 report by the House Intelligence Committee described ZTE as a major espionage threat because its phones could be used for spying. Wyden said he asked point-blank at a May 15 open hearing of the Senate Intelligence Committee, which he sits on, whether ZTE could still be considered an espionage threat and was told "yes." "But then, look at what Trump did with ZTE," Wyden said of a deal forged by Trump afterward to save ZTE from going under. "He gave them a slap on the wrist. Everybody wants to know why — and I don't know why. I can tell you how hard it is to define their policies." The Senate voted last month to reinstate the ban, but it still has to survive in a conference committee with the House. Trump imposed the tariffs on steel and aluminum under a 1962 law that empowers the president to do so in matters of national security. Retiring Sen. Bob Corker, a Tennessee Republican, has proposed congressional approval of such presidential actions. Wyden, however, said that step goes too far. "I think that would be a big mistake, because that would mean you would not have enforcement," he said. "I think there is an opportunity to tinker with the law and retool it to reflect modern challenges. I am concerned about what it means for our allies, who we need to have with us on many key issues." Wyden said the dispute goes beyond trade relations with China. He said it imperils Oregon's efforts to expand exports, such as potatoes to Mexico, which is unhappy with U.S. efforts to renegotiate the 1993 free-trade agreement with it and Canada. Wyden favors updating the agreement. The United States has imposed tariffs amounting to 30 percent on newsprint, which it found that Canada is subsidizing. But news organizations are faced with reducing the number of printed pages and eliminating jobs because of the increased cost of newsprint, most of which comes from Canada. Only a handful of mills continue to operate in the United States — and the U.S. paper industry opposes the tariffs. Legislation has been introduced in both houses of Congress (HR 6031, S 2835) to block the tariffs until a study is done. But Wyden is not a sponsor. He said he is pursuing another path with the Commerce Department. "I have told them they have to make this a top priority issue — to get an agreement that would stop the dumping and stabilize prices so we don't put our small papers out of business," he said. "They can decide this can be done, if it's important to them."